PDK's Master Plan process is now underway. Click here to be taken to the Master Plan website. Be sure to check out the "What's New?" Tab on the right side of the page to find the latest news & updates from PDK! Our next Airport Advisory Board (AAB) Monthly Meeting is set for Monday, May 13, 2019 at 7:00 p.m. in the PDK Airport Administration Building, 2000 Airport Rd., Room 227, Chamblee, GA 30341. 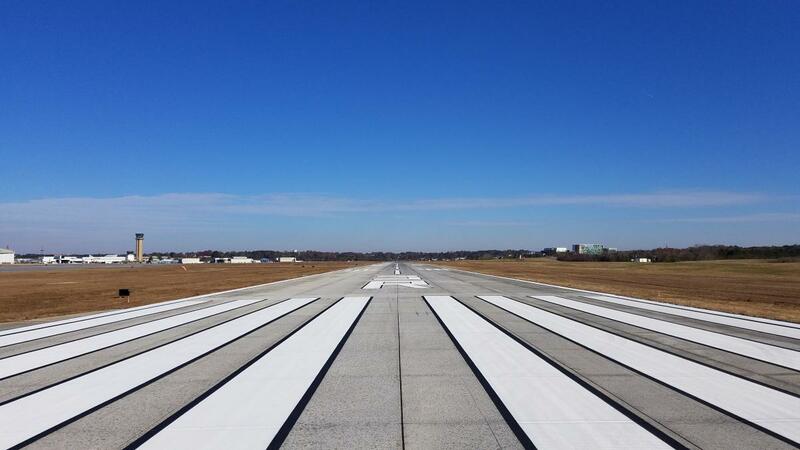 DeKalb-Peachtree Airport (PDK) is located on more than 700 acres of land in the northeastern part of DeKalb County. It is classified as a general aviation reliever airport, which reduces air-carrier airport congestion by providing service for smaller general aviation aircraft, such as corporate and business jets, aircraft charters, training aircraft, helicopters and personal aircraft used for business and recreational purposes. Over the past 30 years, the airport has annually averaged about 209,000 take-offs and landings. PDK is the second busiest airport in Georgia based on number of operations, only behind Hartsfield-Jackson Atlanta International Airport. PDK's location eight miles from the heart of downtown Atlanta makes it the airport of choice for those operators of corporate, business, and general aviation aircraft visiting the Atlanta metropolitan area. The airport currently is home to one helicopter and three fixed-based operators (FBO’s) and hosts 125 aviation-related tenants. There are about 409 aircraft based on the field.